Congress Wants To Spy On You For Christmas – Bi-partisan Group Says No! Congress has until the middle of this month to pass a bill to fund the government into next year or we go into shutdown-city. It’s one of the biggest political threats we seem to hear every year. The threat to shut down the government is used by one party to intimidate the other into submission, because the public hates government shutdowns. So, it comes as no surprise that Congress is considering using a government funding bill as a Christmas Tree to carry other expiring provisions of law across the finish line. This year congressional leaders want to spy on you for Christmas…or rather they want to keep spying on you without warrants. They have attached a reauthorization of the most controversial mass surveillance programs ever to the year-end funding bill to force it through without proper debate. It doesn’t matter if you’ve been naughty or nice, the government wants to be able spy on you without going through the proper channels. That 4th Amendment really is annoying to a prying government. Yet, the leadership seems intent on attaching a controversial reauthorization of these programs to a year end government funding bill. The Hill reported on November 27, 2017 that “Congress poised to jam through reauthorization of mass surveillance” and Reps. Justin Amash and Thomas Massie are leading a letter demanding that these programs be debated separate from the annual appropriations process. 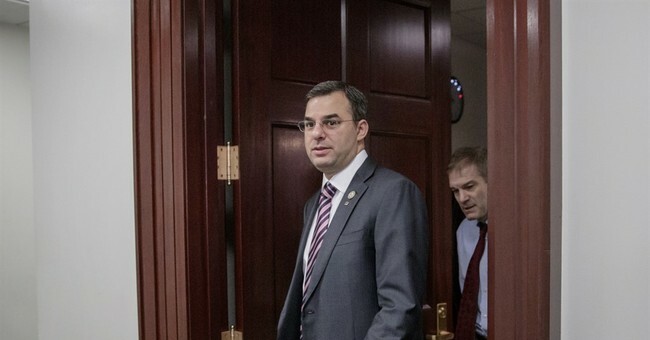 A bipartisan group of more than 30 congressmen, led by Amash, have signed onto the effort to force the reauthorizations to be argued alone. They sent a letter to Speaker Ryan and Minority Leader Pelosi asking that the reauthorizations be brought to the floor separately from the larger piece of legislation. They hope to force Congress to publicly vote for or against it. Let the programs live or die on their own merits and with their own vote. Don’t sneak it through on the year end Christmas tree. The Trump administration weighed in on December 6, 2017 and the New York Times reported that no reauthorization is needed due to the fact that the program currently in place will not fully expire until April 26th, 2018. Burying this into end-of-the-year legislation is a total ploy to hide it from the public scrutiny it deserves. For those who oppose changes to the status quo, waiting and openly negotiating in the spring could be wise for them. Both sides will argue and eventually agree on an acceptable and legal framework going forward. Continuing to operate in secrecy and illegality is no way to run the American government and only adds to the growing levels of distrust among the average citizen. I applaud the Democrats and Republicans willing to bring this topic out into the light of day where it should have always been. Surveillance is a serious topic that Americans care deeply about. A debate must be had to weigh out the need for surveillance practices in a digital world where an entire terror attack may be thwarted by an intercepted tweet. National security and terrorism have changed the digital landscape to be sure, but the 4th Amendment right of Americans to be secure in the papers and effects still holds true even though those papers are now electronically based. The world has changed since our founders’ day to be sure, but the rights we hold dear have not. If Ryan and Pelosi care about the rule of law, they will hear the request from their colleagues and allow the surveillance debate to stand alone in the coming year.